I always say that I like rain when I shoot, and boy do I mean it. 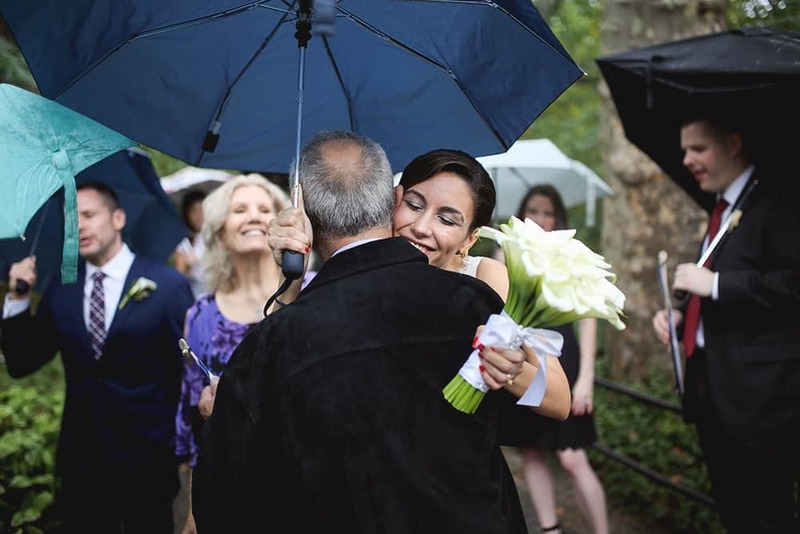 During Yassmeen and Jonathan’s rainy wedding in Central Park, I got to capture some really deep and interesting colors. I remember meeting Yassmeen and Jonathan at a Starbucks downtown and being struck by their energy and happiness. Those two were so madly in love and so excited to take their relationship further that it made me excited too. Their engagements session was no different: they both were so bubbly and cheeky that I couldn’t even chose a favorite photo (and I ALWAYS have a favorite photo). So when their wedding day came and the rain was pouring down, I was not surprised to find them all smiles. Yassmeen and Jonathan are the kind of people I can be friends with. I already offered to get a drink when they get back from their honeymoon, and I’ll make sure it happens.